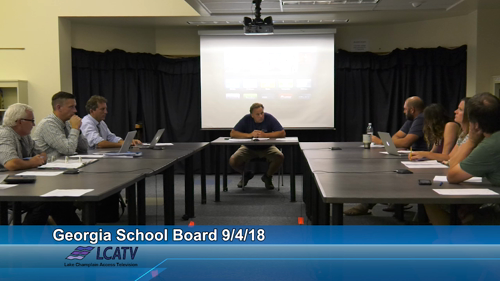 The Georgia School Board meets at 6 p.m. on the first Tuesday of each month at the Georgia School's Library on 4116 Ethan Allen Hwy (Route 7). Agendas and minutes are available at the Franklin West Supervisory Union Website. For more information, call Georgia Schools at 802-524-6358 or the Franklin West Supervisory Union at 802-370-3115.